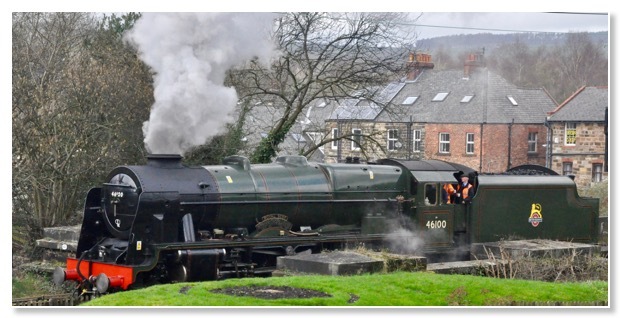 We were pleased to see the Royal Scot locomotive puffing past the coffee shop in the last week of March. The famous LMS locomotive was visiting the North Yorkshire Moors Railway and, with some help from one of the NYMR engines, hauled trains between Grosmont and Pickering over the seven days of its visit. We had fine weather on most of the days and lots of visitors enjoyed their coffee with us perched on our high chairs at the wall tables in our playground watching the trains go by. We are noticing lots of spring flowers on our walks after work. 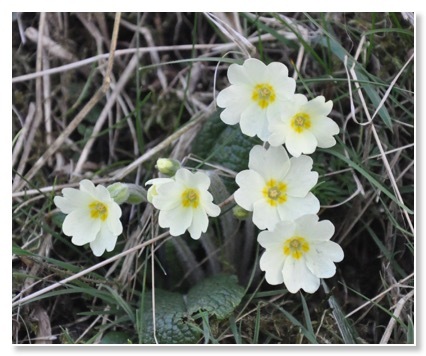 We saw these primroses on a bank at the edge of a field above the Murk Esk. Bill has been trying out a new flavour savoury bake: beetroot with feta and hazelnut. 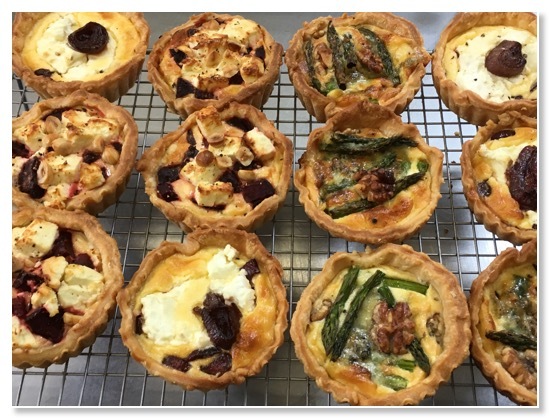 The other regular favourites are: asparagus with blue cheese and walnut; and goats' cheese with red onion marmalade. They tend to sell out by the middle of lunchtime, so come early if you want to try one.